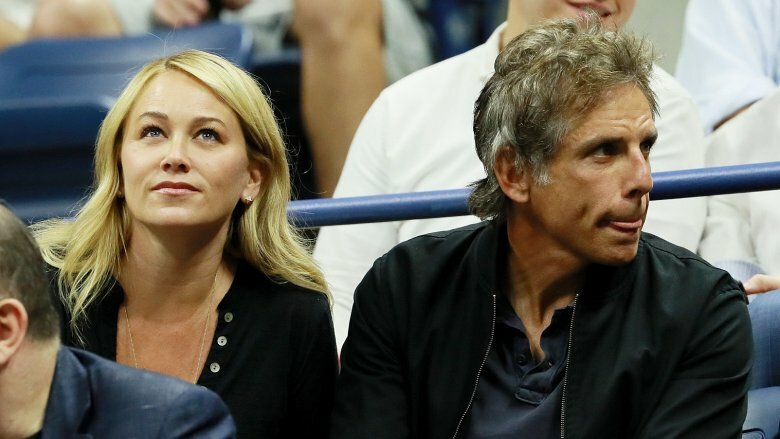 Ben Stiller and Christine Taylor recently announced their split after 17 years of marriage, ending yet another one of Hollywood's longest-lasting relationships. For the most part, Stiller and Taylor effectively kept any relationship troubles they may have had out of the headlines, but obviously there were issues. And as with any divorce, there were clues along the way that there may have been trouble in paradise, even for the seemingly happy and private couple. Here are the real reasons (that we think) Ben and Christine Taylor Split. One quasi-official reason that led to their sudden split allegedly had to do with the couple's "conflicting priorities," according to People. "It gets hard — he has a very busy Hollywood career, and she's been very focused on being a mom," a source told the magazine of the couple, who have two children together. Despite the scheduling conflicts, so to speak, the couple allegedly remains committed to being a happy family. "They are a very loving family," the source said. "[Taylor] and Ben respect each other and will do anything to make sure their kids are happy." Were there clues in his recent movie roles? Known primarily as a comedic actor, Ben Stiller started taking dramatic turns all the way back in 1998 with Permanent Midnight, when he played the heroin-addicted writer, Jerry Stahl. But it is his recent collaborations with writer/director Noah Baumbach that are the most eyebrow-raising, especially in the wake of Stiller's now-defunct marriage. In 2010's Greenberg, Stiller plays an aging hipster, who, according to Rolling Stone, is "still harboring the pipe dream that he can re-form his indie-rock band and win back his high school sweetheart." In 2014's While We're Young, Stiller teamed up with Baumbach again, this time playing one half of a married couple whose lives are disrupted when they start hanging around with a young, hip couple. If you haven't noticed the theme here, these roles are all basically about the existential crisis of getting old, the perils of marriage, and losing one's identity. Even 2013's The Secret Life of Walter Mitty which is a light-hearted adventure comedy, has at its core a central character with a deep desire to escape his life. Granted, this is pretty speculative, and a bit of a stretch to extend these themes to Stiller's own marriage, but it's fair to ask what attracted Stiller to these roles, and if, indeed, there was a degree of art imitating life. There has always been a sharp contrast to the Ben Stiller audiences see on his comedic performances and the Ben Stiller in real life. In a 2010 interview with Rolling Stone, Stiller is described as having "a dark weight that seems to burden him." In explaining his disdain for Los Angeles, Stiller tells the interviewer, "I was in Century City at night once, and it was such a ghost town, it made me want to slit my wrists." And if that seems dark and completely unrelated to the topic of his divorce, consider this quote from his 1996 chat with Interview, when Stiller said, "I'm just not a naturally cheery person. I'm naturally moody. I know that from people who spend a lot of time with me. People who spend a lot of time with me may not wish to spend a lot more time with me." That's a 24-year span of apparent misery, during which his marriage to Christine Taylor occurred in the middle. 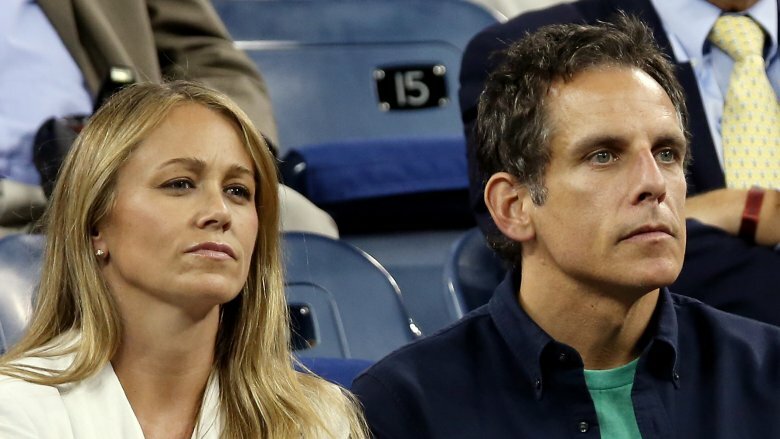 Perhaps Stiller's unpredictable moods had an effect on the marriage. In a 2011 interview with The Hollywood Reporter, Stiller talked about his marriage in a cagey, dinner party polite kind of way that indicated he and Taylor had worked through some significant strain. "Like any marriage, we've been through a lot. But you have to accept that people change. It's very easy for a relationship not to work if both people aren't committed to it. We've gone through ups and downs, but it's all been leading toward us becoming more and more connected. We're very, very happy together," he said. Stiller also offered another clue later in the interview that indicates he not only struggles to find a proper work/life balance, but he also keeps his feelings caged up to do it. "To balance it all is hard. But it's very important to me. You reach this point in your life where you go, 'I have to take stock.' If you're just going, going, going, it's very easy not to stop and feel things," he said. Again, do we know for sure that his work interfered with his marriage? No, but it sounds like it was a possibility. 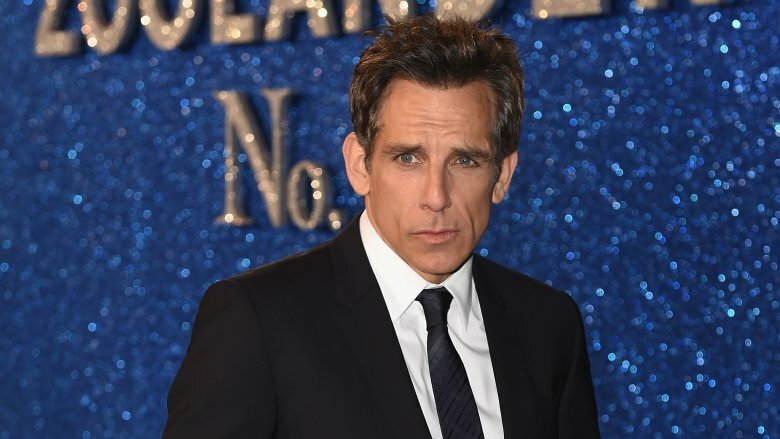 We've already established that even in his own words, Stiller describes himself as difficult to be around, which is a sentiment that apparently extends to the set as well. And there is no shortage of Hollywood anecdotes about Stiller's legendary status as a diva. 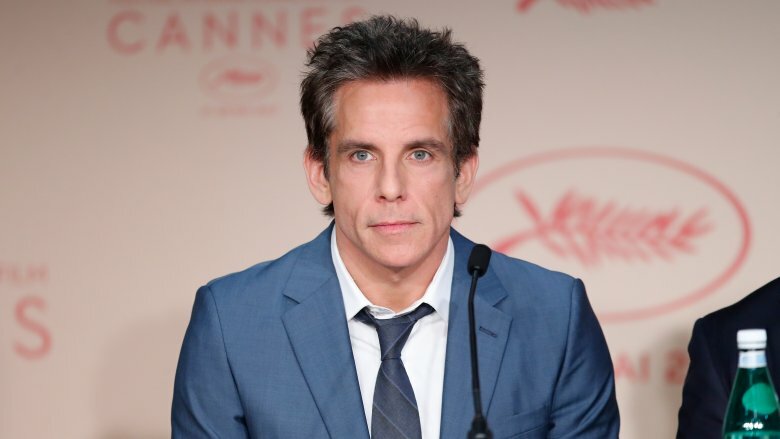 Paper Magazine's editorial director, Mickey Boardman, once told Buzzfeed that Stiller was "pretty horrible" on a photoshoot during which the actor constantly complained. A similar sentiment was revealed in the infamous Sony hacks, which uncovered an email by chairman Tom Rothman who called Stiller a "talented, albeit horrible human being." Then there are the stories from the unfortunate people who have worked for Stiller. On her blog, someone who calls herself "Miss Banshee" recalls her experience working for a day as an extra on Zoolander. 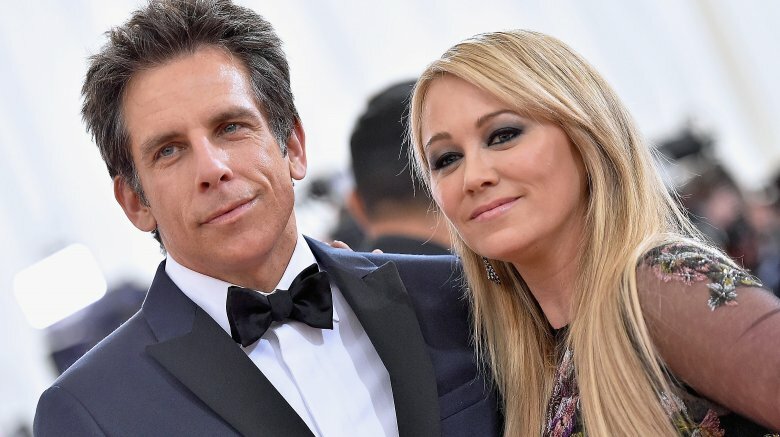 She claims Stiller was "a d**k," who whined and complained incessantly, threw temper tantrums at the crew, and was placated only by his "very smiley and very blonde wife" when she brought him Starbucks. The set of Little Fockers was apparently similar, at least according to insiders who told The National Enquirer (via Celebitchy) that Stiller "alienated most of the cast and crew" with his "vain and self-absorbed behavior." He also allegedly kept two personal chefs on set, who also happened to be "stunning blondes" who "constantly massaged the star's over-inflated ego." We honestly could keep going with the stories, but you've probably already grasped our point. What's that old saying? Where there's smoke, there's an alleged jerk who's probably tough to be married to. 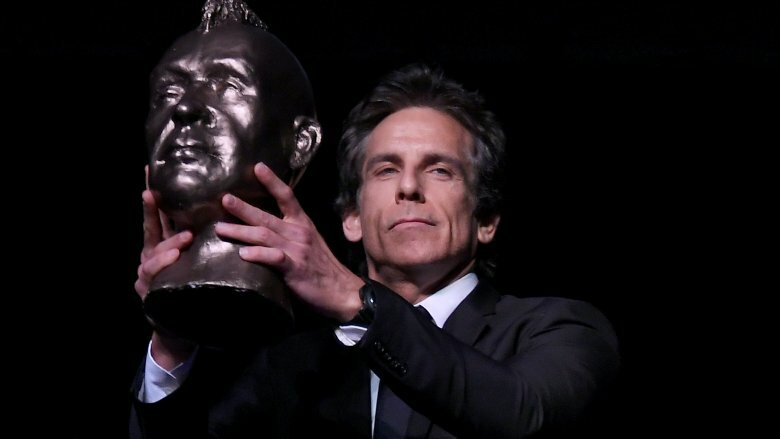 With a string of critical and commercial flops like The Watch, The Secret Life of Walter Mitty, and Zoolander 2, Stiller's only real Hollywood lifeline of late was the Night at the Museum trilogy, but even that appears to be over. Everything else Stiller does outside of the popular kid's franchise is now generally met with a shoulder shrug of indifference, or a genuine surprise that he can put in an emotional performance. Neither of those are good reactions. Taylor, whose career has been a smattering of brief appearances in notable projects like Curb Your Enthusiasm and Arrested Development, is perhaps still best known for playing Marsha in 1995's The Brady Bunch Movie. Again, this is not great. So, did the strain of their respective decades-long Hollywood struggles affect their marriage? We can't be sure, but we're guessing at the very least, it didn't help much. Ben Stiller was diagnosed with prostate cancer in 2014, which he and his family kept a secret for two years. In a 2016 essay he wrote on Medium, Stiller then advocated the use of a controversial cancer screening, called PSA testing, for which he caught serious flack by detractors who claim the test gives too many "false positives, leading to dangerous, aggressive, and unnecessary treatment. In the middle of Stiller's cancer battle, his beloved mother, Anne Meara, passed away on May 23, 2015. In an interview with Parade, Stiller said that his mom was the person he "most looked up to for her point of view, her humor," and that her death affects him constantly. Given the nature of Stiller's consistently gloomy demeanor, the one-two punch of a cancer diagnosis and the passing of his mother likely had a seriously negative effect on his marriage. 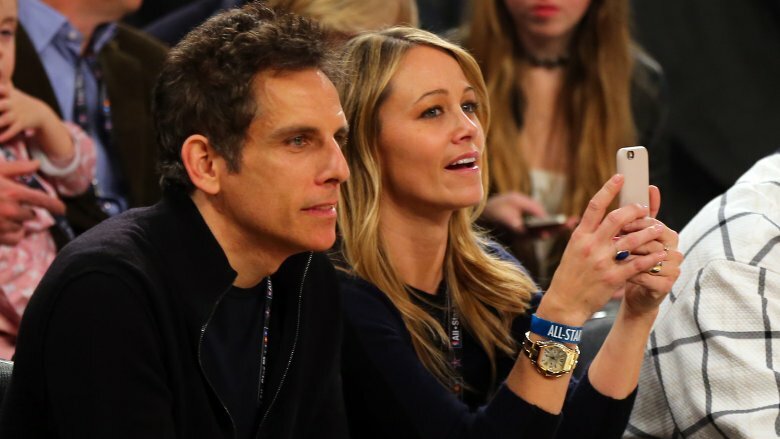 We've discussed a lot of hypothetical reasons for why Ben Stiller and Christine Taylor's marriage ended, so let's finally get into the nuts and bolts of this thing. In 2003, when Stiller and Taylor were on the set of Dodgeball: A True Underdog Story, Stiller pegged her square in the face not just once, but twice, and he may have even enlisted the help of Vince Vaughn for the second surprise attack. Taylor, recalling her account of the second face-pounding to IGN, said, "And I just found out from Vince about two weeks ago, he finally admitted it that he, which was one of the hardest things too, because you didn't understand the person, the anticipation and the flinching and me, it's very hard when you know a ball's coming at you to not move, or flinch or squirm and Vince openly admitted that he knew the ball was coming from Ben, 'I'm not saying I did, I'm just saying I might have anticipated, and I think I moved.' And I said, 'OK, well there you have it.' He moved forward by half an inch, the ball went behind him and nailed me straight in the face." So, was it an innocent accident, or did Stiller secretly arrange it to get a genuine reaction shot from Taylor? We may never know, but ask any married woman if that's something she'd ever let her husband forget, and you'll be one step closer to understanding where this union went astray.